Being a new facility, we have the features to make storage easy and affordable for you! 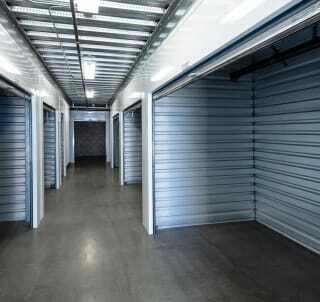 Convenient access is one of the benefits our customers like best about Silverhawk Self Storage. We are close to many of Murrieta’s neighborhoods, including Redhawk, Vail Ranch, Paloma Del Sol, Morgan Valley, Morgan Hill and Crown Hill. We are part of the retail and commercial district on Temecula Parkway, just east of Ralphs and Best Buy. Speaking of access, we feature gate and office access 7 days per week. To offer outstanding service, we have a helpful manager on duty during all gate access hours at our Murrieta self storage units. We strive to be Murrieta's easiest and best storage company to do business with by featuring month-to-month leases and our unique “1st Year Price Guarantee.” Need a way to get your belongings to storage? No problem. We offer FREE use of our moving truck and a driver to make it simple. We have well-trained storage professionals who live on-site to help make your stay with us smooth and uncomplicated. And we have a variety of ways for our customers to pay, including on-line and monthly credit card payments. Stop by or call to find out what Silverhawk Self Storage has to offer!